The Canyon View Dog Park is located at the north end of Canyon View Park, north of the softball field complex and across the driveway. The area is approximately 3.2 acres enclosed by a 6' chain link fence with two separate double gated entry points and two separate areas for small/senior and large/active dogs. The west area is for those small, senior, or shy dogs. The east point is for more active and larger dogs. Each entry point allows an owner to leash and unleash their dog within a secure area. 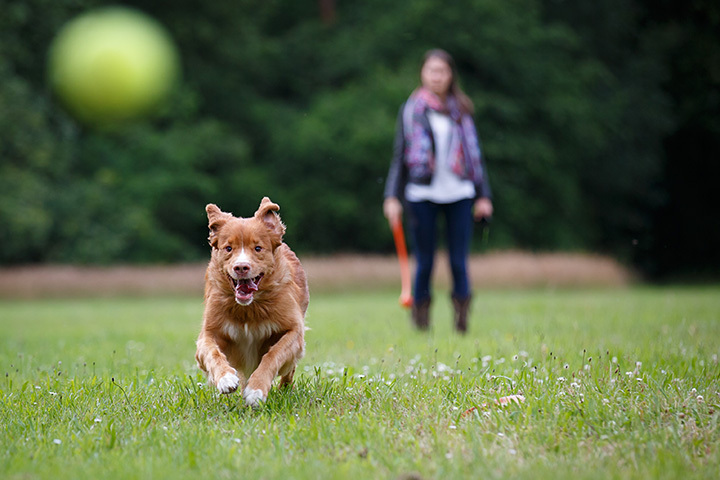 It has been proven very important for the dogs to be unleashed prior to them entering the off-leash area in order to avoid fights and conflicts, common when the dog is on leash. See the dog park rules for complete information.